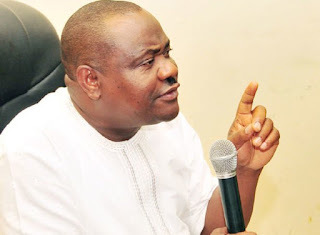 The Yoruba Youths Congress (YYC) has issued a – Seven day ultimatum to the governor of Rivers state, Nyesom Wike to tender a public apology to the Yoruba people for passing derogatory statements on them on a national television. YYC alleged that Wike made unprintable statements against the Yorubas during a live television interview on the of the last Saturday’s convention of the Peoples Democratic Party (PDP). The Yoruba group is asking the Rivers attention governor to present a public apology to Yoruba’s on at least five notable News papers and three National television stations, including Channels TV. Adressing reporters in Akure, the Ondo State capital, National President of the YYC, Prince Dapo Adepoju said Governor Wike should forget about coming to the southwest for any reason, if he failed to tender the public apology. The group also warned politicians to always guide their utterance’s in the public.